The next reissue undertaking for Fire Records will go to Half Japanese, the lo-fi indie punk band launched by the prolific Jad Fair and his brother David in the mid-1970s. The label will re-release fourteen records from the band in early 2012, from 1980’s Half Gentleman/Not Beasts to 2001’s Hello. Check out “All the Angels Said Go to Her” off Hello and the recent Beautiful Songs (The Best of Jad Fair), above. Half Japanese records were notable for their disregard of musical conventions like intonation and rhythm, and for their distinct DIY approach. The band influenced influenced the likes of Kurt Cobain, Sonic Youth, Beck, and Sebadoh, and toured with Nirvana in the early 90s. 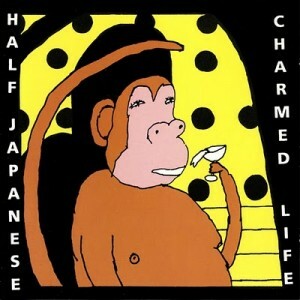 Half Japanese were also chosen by Jeff Mangum to perform at his upcoming incarnation of the All Tomorrow’s Parties festival.